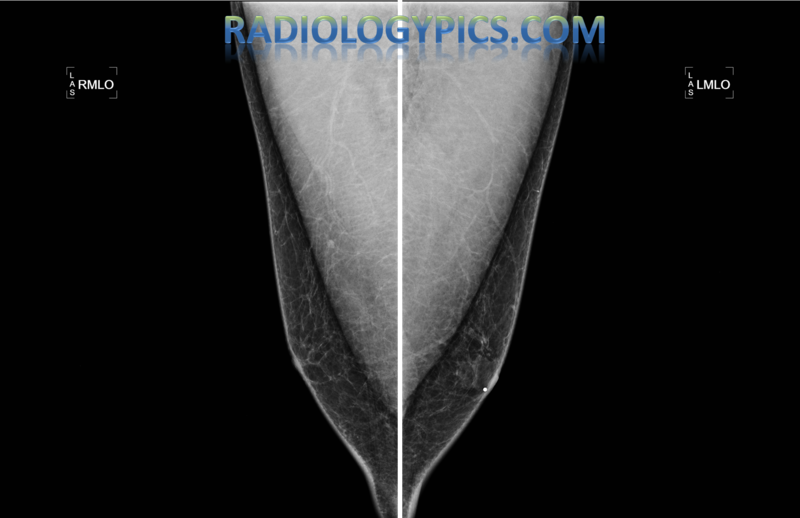 I’ve found that the readers of RadiologyPics are interested in cases that highlight the differences between male and female anatomy. Well, for that matter, our whole society is obsessed with men versus women. 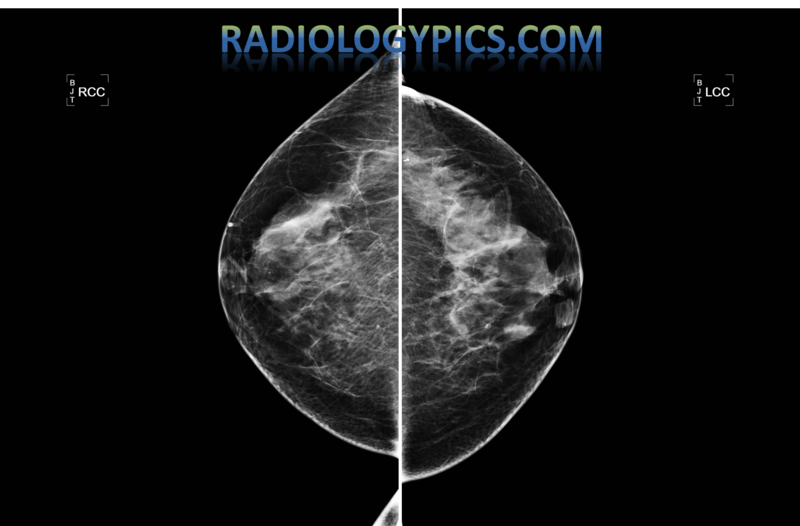 Therefore, I decided to create this post emphasizing the differences between the male and female breast on mammography, as well as comparison to the augmented female breast, or female breast with implants. See the figures below which show the differences. Bilateral mediolateral oblique (MLO) images of the male breast, with a BB marker (round white dot) on the left breast, indicating an area of very mild benign gynecomastia. Bilateral craniocaudal (CC) views of the male breast (same patient as above MLO views), with a BB marker on the left breast indicating very mild benign gynecomastia. 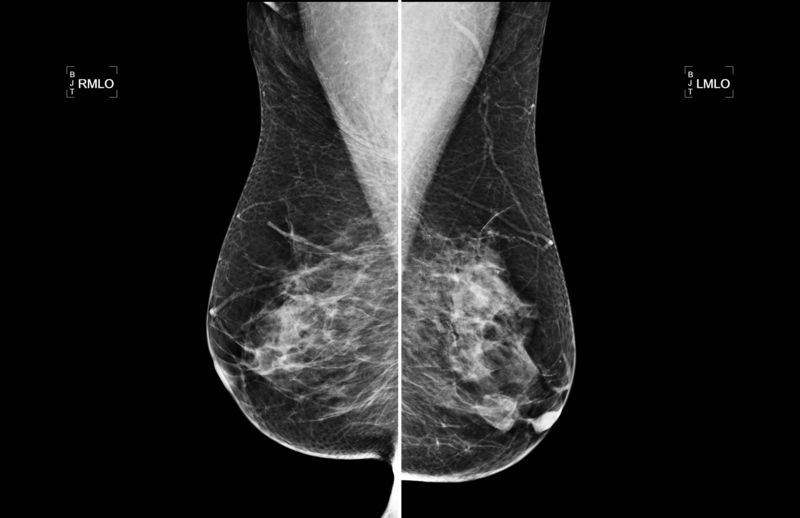 Bilateral mediolateral oblique (MLO) views of the normal female breasts, with heterogenously dense fibroglandular tissues (normal breast tissue). Bilateral craniocaudal (CC) views of the normal female breasts, with heterogeneously dense fibroglandular tissues (normal breast tissue). 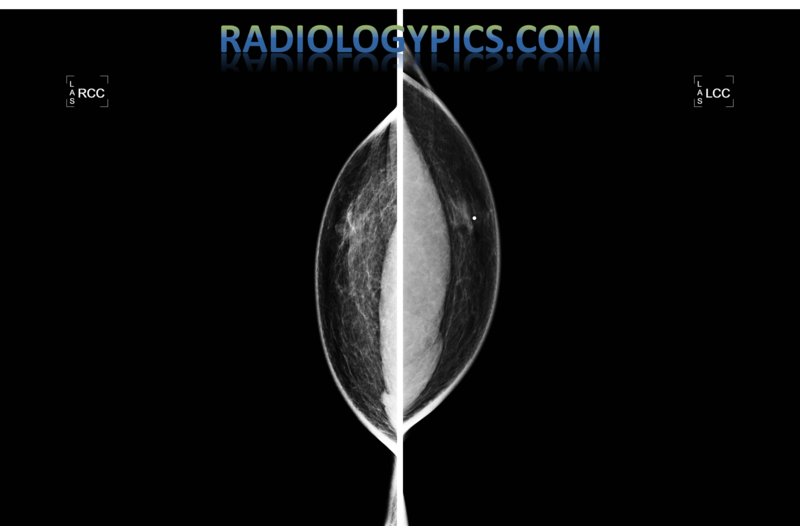 Bilateral mediolateral oblique (MLO) views of the female breast with saline implants. In both implants, a valve is noted, indicating that is saline containing, as opposed to silicone. 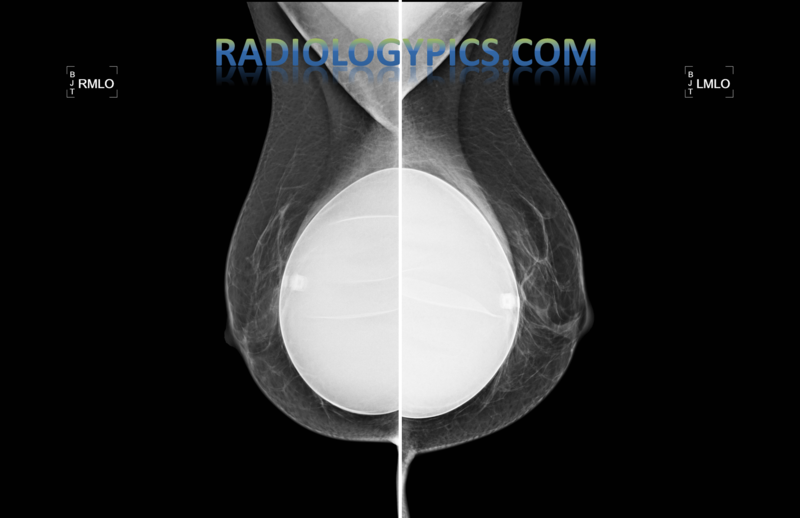 Bilateral craniocaudal (CC) views of the female breast with implants. There are other additional views that women with implants get, called “implant displaced” views, in order to get a better image of the remaining breast tissue. 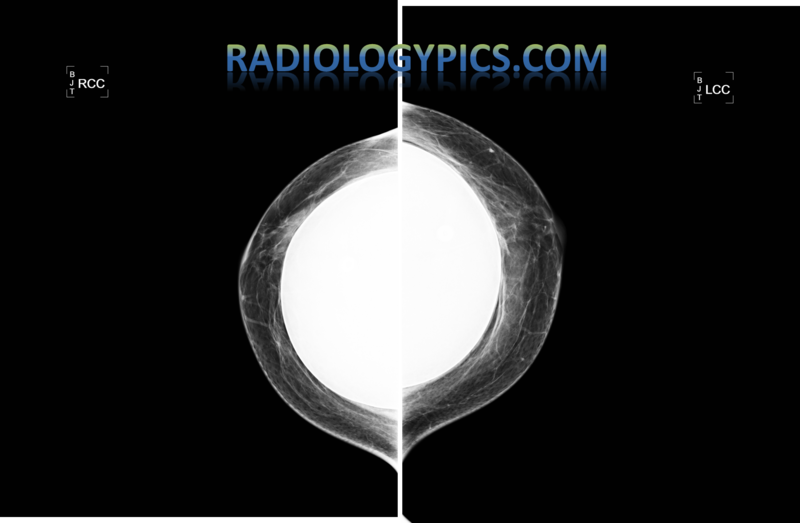 Notice above that the typical male breast is completely made up of fat, as seen on the right breast in the first and second images above. The left breast has a focus of gynecomastia, indicated by the BB marker. This represents benign breast tissue proliferation in men, which can have many causes ranging from diseases such as cirrhosis to marijuana use. 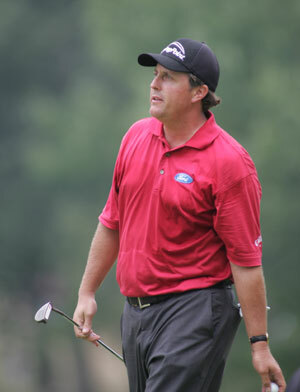 Most famously, Phil Mickelson (photo below), is thought to have gynecomastia. 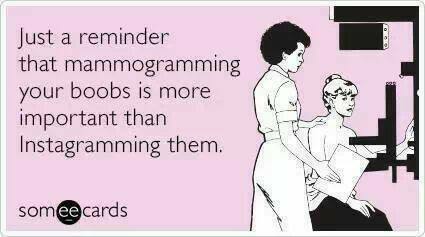 Although his case may look more severe on mammography than the case I’ve posted above.